Fans of the gritty world of Modern Combat, who have been waiting for the game’s fifth installment (for what seems like ages) can now grab the game on the Play Store for $6.99. 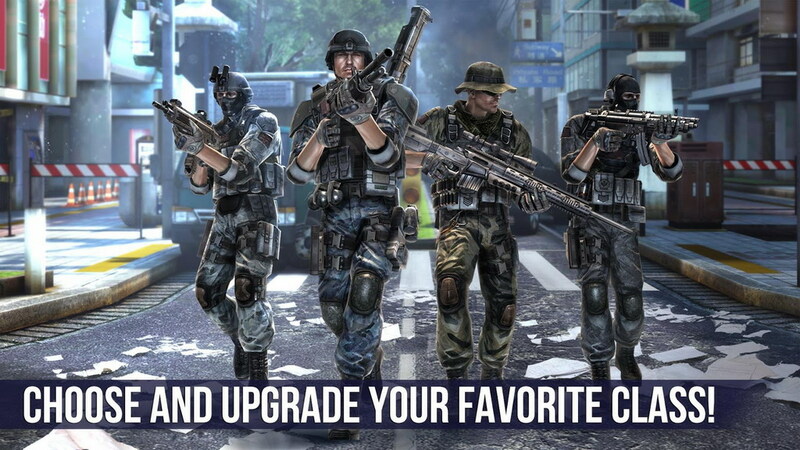 Gameloft actually surprised everyone by getting the game in the Store a day earlier than announced, so if you happened to have one eye on the Play Store and managed to get it right away, we award you the MC5 fan of the month! 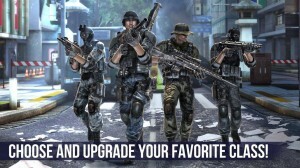 All kidding aside, Modern Combat 5: Blackout comes with everything you expected in an MC game and some more. First on to the good news. The game has been stripped of all its IAPs so unlike earlier versions, you know that you’re going to be on par with all other players when it comes to winning. The not-so-good news is that you will need to be online to play the game, even if you’re only dabbling in the single player campaigns. Onto the big features of the game. Single player campaigns are fast paced story driven missions with a Spec-Ops event promising to give you all the adrenaline rush you can squeeze out of your system. 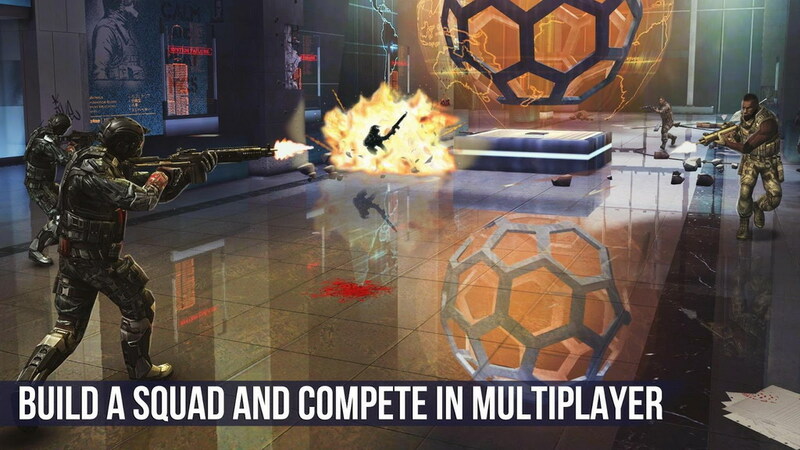 Multiplayer modes bring squad vs. squad battles where players can team up with up to 12 other participants and gun down others in four competitive game modes. A global and squad based chat system and individual and squad leaderboards are the other highlights of Blackout. Finally, players will be able to see a unified game progression meaning multiplayer battles can reap the benefits of XPs earned during single player campaigns. 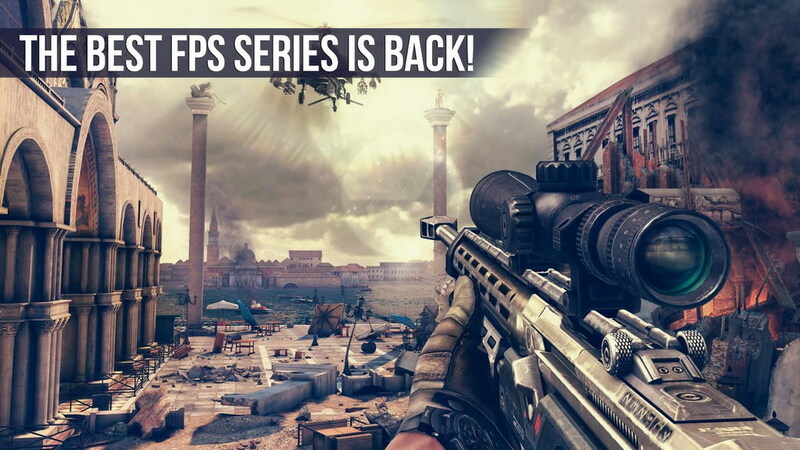 Fast paced action, intense campaigns, customizable classes, console quality graphics, game controller support… its all there for taking for just under $7.